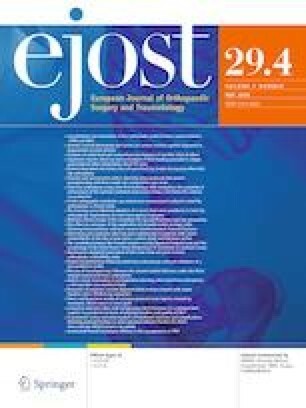 National Institute for Health and Care Excellence guidelines recommend computed tomography (CT) scanning for children who fulfill the criteria of significant mechanism or focal spinal pathology. Resulting radiation might subsequently increase the risk of cancer. Children with spinal CT scans and radiographs from August 2015 to July 2017 were reviewed retrospectively. Data were obtained from the formal radiology reports and case notes. The radiation exposure and risk of cancer were estimated. Thirty-five children had spine CT scans, and 757 spine radiographs were undertaken. Nine (25%) children had their spines scanned as a part of trauma series due to a severe mechanism of injury. Two patients (6%) had abnormalities in their radiographs prior to CT scans, and the rest were obtained to exclude injuries with negative radiographs. The mean radiation dose from CT scan was 20.3 (SD: 11.3) mSV. The relative risk of missing a spine fracture in a child with a normal radiograph was not statistically significant (RR1.14 95% CI 0.3–4.3 and P = 0.8), and the NNT for detecting a spine fracture with a normal radiograph with further CT scan was 56. The mean lifetime additional cancer risk with CT scan in this group was 0.37%. A significant (P < 0.0001) positive correlation between the radiation dose and increased cancer risk was found. Children with clinically suspected spinal fracture in the absence of red flag signs/symptoms and negative radiographs might be considered for alternative assessments or investigations to reduce the risk of CT-related radiation hazards.